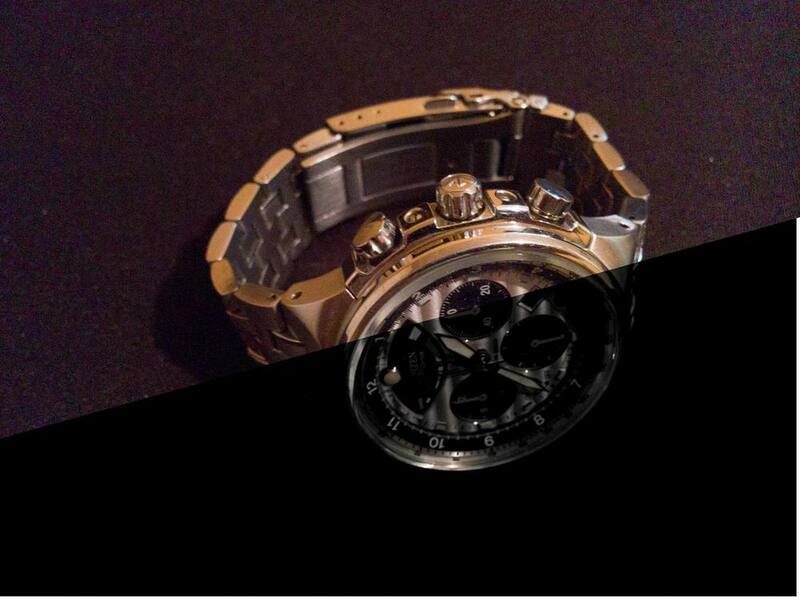 To see how powerful the RAW capabilities are I shot an intentionally underexposed picture if my watch. This image was then stored in the JEPG and DNG formay. Below you see the JPEG version straight out of camera. As you can see there is almost no details of the watch left. There seems to no geometric distortion between the DNG and JEPG version. On thing I noticed though is that both files do not perfectly match up. By that I mean it seem like the JPEG version is shifted in both, x-xis and y-xis, with respect to the RAW version. While Importing both files into Lightroom I noticed that Lightroom copied them into 2 different date folders. It seems that the RAW files have an older date with them associated while the JPEG files contain the correct date. The file size of the DNG files seems rather big. In my tests I get consistently files around 15MB. For an 8 Mpixel camera that seems awfully big. For comparison, my 12-Mpixel D90 generates consistently RAW files around 10MB. Android does not recognize the DNG files. Neither the Google-Drive app or the Photos app show the DNG files. If you want to get your files off the phone you have to connect your phone directly to the computer or find a file manager which allows you to send the files via Bluetooth or Wifi (I had no luck with the ones I tested).